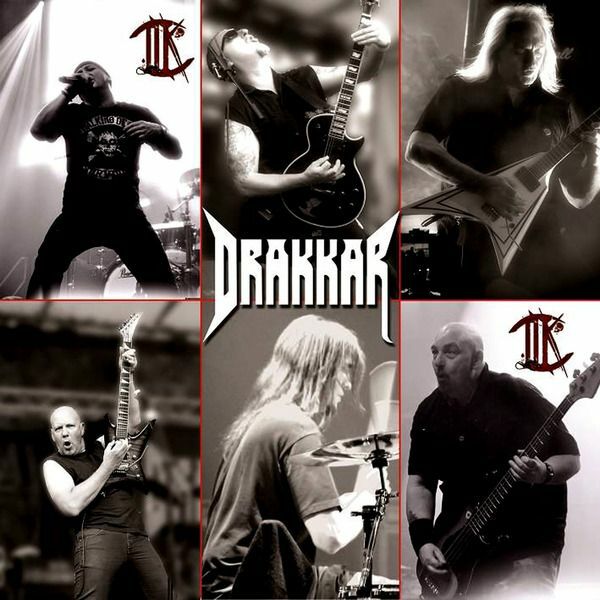 DRAKKAR is a musical band formed in 1983. After a couple of years the quintet finds its steady line-up as well as its musical direction. During these two years the band composes and evolves into a melodic and technical SPEED METAL that will hit the mark in many live (public) performances.During 1985 DRAKKAR released its first demo tape which included three titles. This tape was produced by Rudy Lenners (Ex. SCORPIONS) and was acclaimed by both critics and SPEED METAL fans. 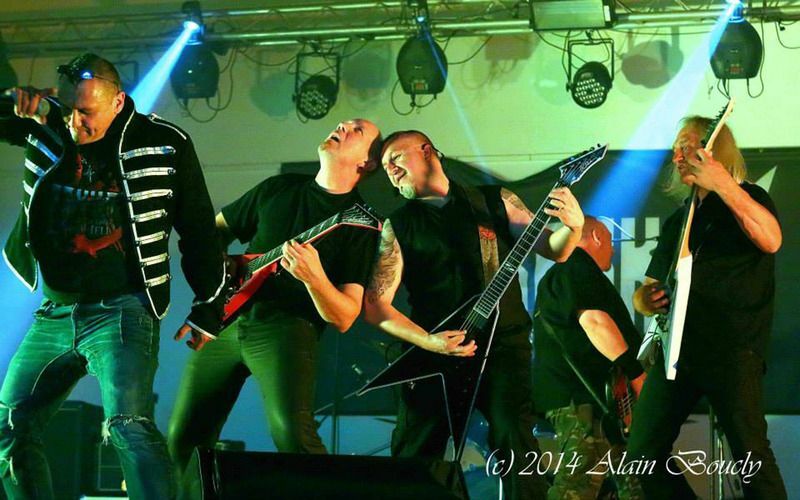 The band was frequently compared to the best German Heavy Metal / Speed Metal of the moment. That recording lead DRAKKAR to a collaboration with MAUSOLEUM records.The band was frequently performing between 1985 and 1986, mainly in Belgium and in the north of France. Day by day the band was rewarded with fans’ growing enthusiasm.In 1987 DRAKKAR recorded a new demo tape still under the artistic direction of Rudy Lenners. The quality of the compositions as well as the power brought out by the songs gave the band the opportunity to sign an artistic contract with N.E.W MUSIDISC. The album called X-RATED was released in 1988.Through this first album DRAKKAR was quickly considered everyone as one of the most promising bands of Speed Metal across Europe.X-RATED is distributed all over Europe. Thanks to that the band got quickly promoted and raised its profile through audience eagerness. Their delivered excellent performances to their public. Even more they were given the chance to support legendary bands like Queensrÿche/Metallica, as well as Overkill/Slayer during their European tours.Despite their increasing success, DRAKKAR decided to separate some years later due to contractual difficulties. All the band performers then decided to try their luck on their own side.In 1998 they decided to reunite in order to resume working on projects they left aside a few years ago. The band starts producing powerful, melodic, precise and technical compositions alike the ones which were so successful on their album X-RATED. In 1999 Drakkar came back with a brand new EP including five pieces which caught record industry’s companies. It gave the band the opportunity to get back on the right track.After a successful test performance in front of a fervent Belgian public - in spite of all the years that have passed – the band decided to wait a bit longer in order to properly prepare their return.Meanwhile, the band decided to perform in some very exclusive shows such as EURO FESTIVAL in 2000 in Germany. A further break unfortunately occurred then.Eventually ready more than ever Drakkar returned simultaneously with a “Reunion Show” which took place in Mons on 21st January 2012. The band presented a new line-up composed of three guitarists. They literally electrified the place! In the beginning of 2012, X-RATED – the mythical album from the band – is released once again with some new features as a new mastering, a new artwork and two new tracks recorded in a studio. These songs called ‘Alone’ and ‘The Undertaker’ are released in early September 2012 announcing the band’s return. They are then produced by Simone Mularoni (Producer and guitarist from DGM and Empyrios).In Mars 2013, due to musical divergences, Drakkar parted ways with Silver - singer from the recombination. As a result, Fab “Leny” Vanbellinghen (the original singer) made his come-back.Drakkar started to perform once more here and there but above all indoor Metal festivals in Europe. The most famous PPM fest!!! !Taking of the opportunity of being in the festival line up Drakkar records a “Live report at PPM Fest “ movie which is reached more than 190000 views on You tube .The fans are getting more and more enthusiastic and the band - being passionate and involved more than ever – started working very hard on their new opus that was finalized in December 2013.2014 will definitely be the climax of the band as they are getting surrounded by a dynamic structure and a solid team.They provided themselves the means to match up to their goals: new website, new merchandising and most of all a brand new long-awaited album including 11 tracks which will give birth to a new video clip for their single called "LOST".So follow us in the adventure….ONCE UPON A TIME … IN HELL ! Belgian band Drakkar has released an album with Diabolical Empathy which is a new highlight in the band's career. 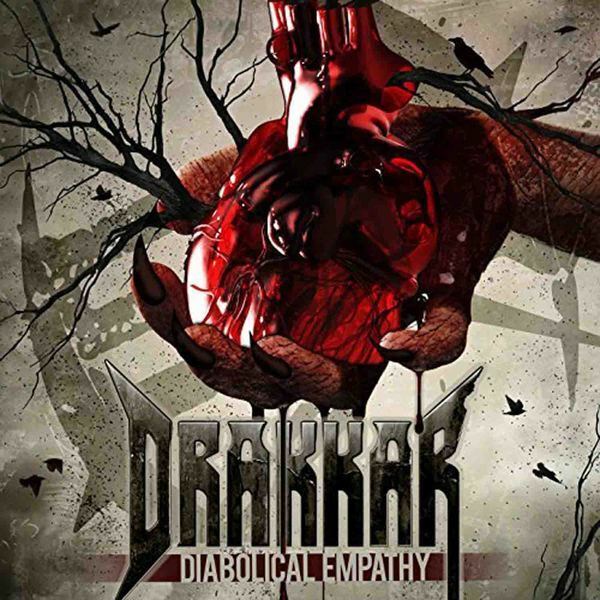 For an 'old' band this album sounds very fresh and over time.Drakkar is an old man in the Belgian metal history.The band has already existed since 1983 and was especially popular in the start days. If you can produce several demos and your debut album by Rudy Lenners of the Scorpions, you went with the big boys. This Walloon band could also publish its debut at an international label and seemed to meet a golden future. However, it was a bit more difficult and the tire split.After a short comeback in 1999, Drakkar made a restart ten years ago. Unfortunately, the band lost his original guitarist Thierry Del Cane (died in 2016). Also, drummer Jonas Sanders has said the farewell to take care of his work at Pro-Pain. However, in terms of international ambitions, the band did not step back, although the previous two comeback albums were released on a local label. Drakkar does especially well in Belgium and France in live shows, and primarily focuses on their arrows. 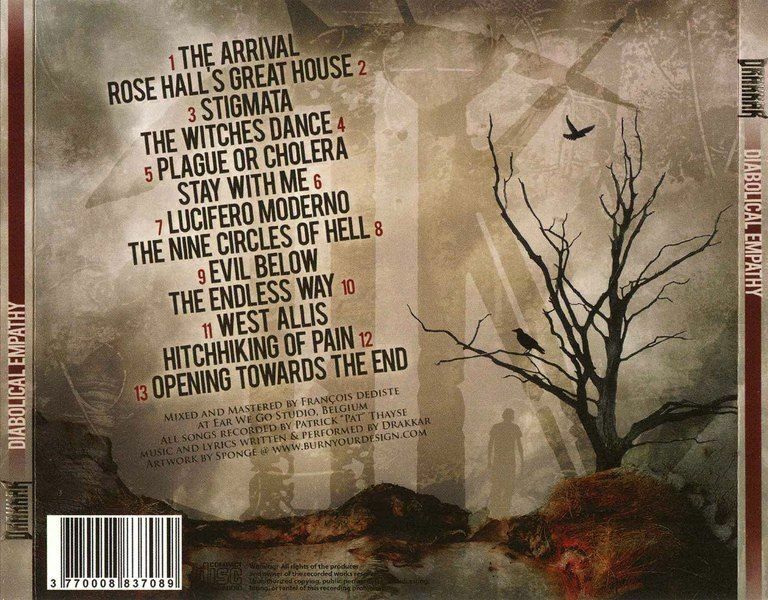 In addition, they make sporadic trips to Great Britain, Germany and the Netherlands.Diabolical Empathy has become a concept album, bringing almost every track back to a historical or mythical figure like Annie Palmer, Francisco Goya, Giovani Tepiolo, Michelangelo, Berenger Sauniere and Jeffrey Dhamer. Even without the concept in mind, you will hear a solid piece of interesting and listen-friendly metal. The speed metal of the former gets on this album the company of more classic heavy metal and powermetal. The whole sounds a lot more modern than what you hear from other bands that have as many years of age. It is especially the young drummer Adrien Delgambe, son of the original Drakkar drummer Tim Delvall, who gives it more than enough speed. The performers are the ballad Stay With Me, The Nine Circles Of Hell and Stigmata.There are also beautiful guest roles for Julie Colin of Ethernity, Flype Lemmens of FireForce and Alexander Malachenko of Forsaken Crown.